Spinal cord injuries can happen to anyone, young or old. Many of those sustaining these types of injuries came by them because of automobile accidents, falls, assaults, contact sports, or diving injuries. Even things like gunshot injuries and tumors can cause spinal cord dysfunction. Spinal cord injuries are often catastrophic in nature, but people usually recover and can still live a normal and happy life. Statistics show that about forty out of every million individuals sustain a spinal cord injury as a result of an accident each year. This doesn’t include those who die instantly from the trauma. 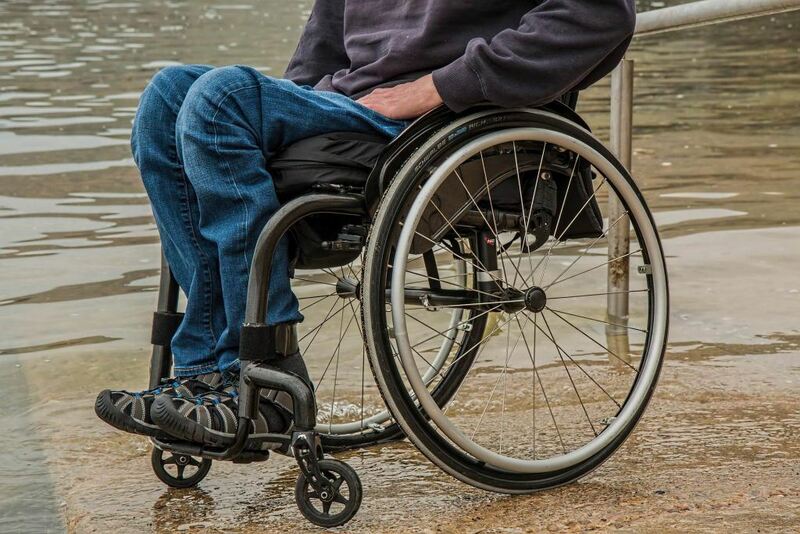 This means that each year, there are approximately 11,000 new cases of spinal cord injuries. A person can have injuries leading to paralysis of the arms and legs. This leads to quadriplegia. Paralysis also can involve an injury to the paralysis of the legs only, which is called paraplegia. People can have incomplete lesions of the spinal cord, leading to an injury that affects one side of the body more than the other. Depending on where the neck injury is located, some muscles and sensations of the arms are able to be felt and/or moved. Even some paraplegics can have enough muscle strength to walk with a walker or cane as long as they have braces. The most serious injuries are high spinal injuries in which the patient cannot even make use of the muscles of respiration and may need to be on a respirator indefinitely. Spinal cord injuries are devastating but don’t have to mean that you have to dwell on the negative. The people who do best following these types of injuries are those who focus on their abilities and not on their disabilities. Family members, social relationships, and work relationships are also impacted by the injury but can even be educated and supported during the recovery process and beyond. The spinal cord is a delicate bundle of nerves that travels from the base of the brain down to the lumbar and sacral area of the spine. The total width of the spinal cord is less than an inch in diameter. The YouTube video below explains more on the different levels of a spinal cord injury. The spinal cord is responsible for receiving input from the senses, such as touch, pain, and where your body is in space; it is also responsible for sending signals to the body to move muscles help body organs function well. The movement up and down the spine of the nerve signals can be measured in milliseconds. This is why you can react so quickly to noxious stimuli or respond immediately to positive stimuli, such as petting a dog or cat. The spinal cord itself does not go all the way down the spinal canal but stops at the first or second lumbar vertebra. Nerves travel down the rest of the spine to exit at various places along the lumbar spine. This bundle of nerves at the base of the spinal cord is called the cauda equina. There are three segments to the spinal cord: 1) cervical segment, 2) thoracic segment, and 3) the lumbar segment. The cauda equina at the end of the spinal cord contains those nerves responsible for sexual functioning and bowel/bladder function, although some nerves in the cauda equina allow for the function of a few leg muscles. When a spinal cord is injured due to an accident, diving incident or gunshot wound, there can be shifting of the bones or destruction of the bones that then slice through the spinal cord, transecting the cord so that there can be no transmission of messages from the body to the brain and back. Sometimes the spinal cord can only be bruised from an injury or can develop a blood clot that damages the nerve fibers that remain intact but do not cause transection of the cord. While people with high spinal cord injuries often develop tetraplegia, usually some muscle function is left over, or the patient can use their facial muscles and some head/neck muscles to be able to maneuver wheelchairs using their mouths and using computers through sticks placed in their mouths. These people usually require a personal care attendant but can go on to get professional degrees and can function well in society. Paraplegia happens when the patient has suffered a thoracic or lumbar injury. The use of the arms is normal, but they can have problems with lower extremity function and sexual/bladder dysfunction. Very low lumbar or cauda equina damage can mean basically normal arm and leg dysfunction with problems involving bowel function, sexual function and bladder function. Spinal cord injuries are classified as ‘complete’ injuries or ‘incomplete’ injuries. In "complete" injuries no signal can pass from the brain through to the base of the spinal cord. Incomplete injuries may mean that some parts of the spinal cord are injured while others are not. Sensation and/or movement can be spared in certain areas of the body, resulting in an easier time during rehabilitation. One specific type of incomplete injury is called the ‘central cord syndrome.’ This occurs when only the motor part of the spinal cord is damaged so that movement is more impaired than sensation. Bladder dysfunction is another aspect of central cord syndrome. Sometimes families suffer more than the patient. They may feel helpless and must spend their time worrying about their loved one who has just been injured. The injured person, who often has daily therapy goals and defined tasks to do, usually feels better about their illness than the ones who can’t do anything about their loved one’s injury. Families must reassess everything from finances to relationships after a spinal cord injury. Sexual relations are more difficult, and family members may need to pick up the slack when it comes to paying bills. The roles within the family are often changed when a person has a traumatic spinal cord injury. For this reason, some families need therapy to deal with anger, guilt and resentments often come on following this type of injury. I'm Ed Smith, a spinal cord injury lawyer in Sacramento. If you or a family member has sustained spinal injuries in an accident, call me at (916) 921-6400 or (800) 404-5400 for free, friendly legal advice. Please see my membership in the Top One Percent, a National Association of Distinguished Counsel.